Igor has over 25 years of experience in data analysis and enterprise application development in the areas ranging from structural biology and bioinformatics to insider threat and risk monitoring. As a Chief Scientist at Securonix, security analytics and intelligence company, Igor leads cyber security research and threat analysis to develop a comprehensive portfolio of adaptive, risk-based behavior models of cyber-attacks, and to further advance Securonix' behavior-based threat detection capabilities through the innovative application of machine learning and anomaly detection techniques. 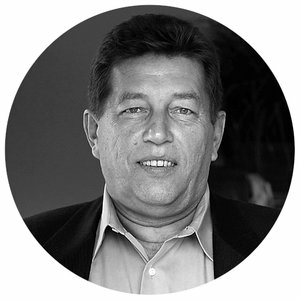 A scientist by trade and innovator by heart, Igor is an author of nine scientific publications and twelve commercial patents. He holds a Ph.D. in Molecular Biology from UCLA, M.S. in Biophysics from Moscow Institute of Physics and Technology, and maintains CISSP certification. If you believe the vendor hype, Artificial Intelligence is the greatest thing to ever happen to cybersecurity. Guess what? The vendors may be correct, but it’s not easy to determine what is useful technology and what is fluffy marketing. There’s tremendous excitement about Machine Learning and its Artificial Intelligence applications for cybersecurity. There’s a lot of confusion and vendor technobabble, too, that must be sorted out. From Big Data to Behavioral Analytics to Machine Learning, Artificial Intelligence presents a confusing landscape, in large part because the terms are vague and defined inconsistently (and vendors like it this way).